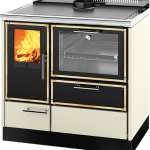 Delivering throughout Wales and South-West England! 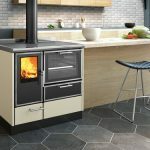 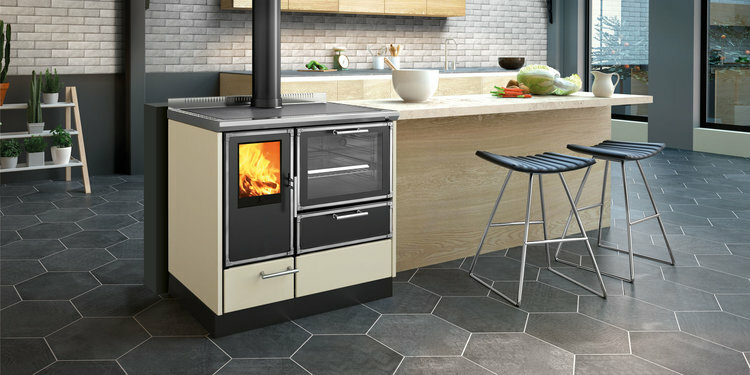 Wood burning stove in structure with doors in black or stainless steel, stainless steel handles. Cast iron cooking plate with removable rings Ø 25 cm or ceramic glass (80 × 48 cm).